Adapts to your universal vest, belt, or platform. Holds 30 round mags secured in place by the elastic bungee system. 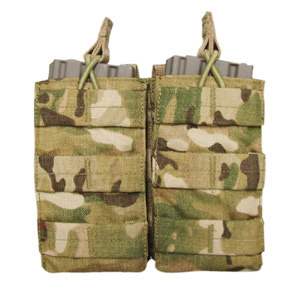 Added front universal strapping so you can attach pistol mag pouches, grenade pouches, etc. Measures 5.5" x 6.25" x 1.25".